By Dawn's Early Light: US-South Korean relations: Where To? Given South Korean government and youth opinion becoming increasingly negative towards the United States, and in some cases seeing the US as a larger threat than North Korea, I have given increased thoughts to a phased US pullout. In attempting to reason through what is in the best interests of US foreign policy in Asia and secondly the best interests of our allies in the region, including South Korea, Japan, Taiwan and even Australia, I have looked at several areas. The three main areas are 1) US strategic and military planning in the region 2) South Korea's newly announced Defense Reform Plan and 3) Effects on potential regional threats, including North Korea and China. 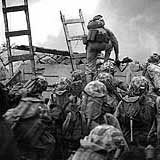 The Korean War started on June 25, 1950 as Communist North Korea launched a surprise attack against South Korea. For over three years, until a cease-fire was agreed to in late July 1953, several million people died, including Koreans, Chinese, Americans, British, and Canadians, with massive civilian casualties. Due to the surprise nature of the attack and the fact that South Korea was not prepared for war, the Communists nearly succeeded in overrunning the country. The U.N. Security Council, at the time being boycotted by the Russians, condemned, by resolution, the action by North Korea and called for immediate withdrawal of the North Korean military from South Korea, requesting all members of the U.N. to render every assistance in support of the resolution, and, subsequently, to "furnish such assistance to the Republic of Korea as may be necessary to repel the armed attack." President Truman interpreted the U.N. call for support as an authorization to commit United States troops, which he did, albeit without submission to Congress, the branch of government which, under the Constitution, has the duty to declare war. U.S. and U.N. troops were placed under the command of American Five Star General Douglas MacArthur. On September 13 to 15, 1950, Gen MacArthur led a daring and successful counter-attack against the enemy-held port city of Incheon (or Inchon), located 20 miles west of enemy-held Seoul, thereby cutting off the North Korean supply lines and turning the tide of the war. As the allies pushed towards the Chinese border with North Korea, the Chinese entered the war in October, 1950. One of many heroic battles by U.S. troops took place as Army and Marine forces fought at the Chosin Reservoir after being encircled by a numerically superior Chinese Army. This brave and tragic battle is recounted well in Martin Russ's gripping "Breakout: The Chosin Reservoir Campaign, Korea 1950". Political influences and apparently personal failings in Washington, D.C. led to the abandonment of the customary tradition of fighting a war to victory, and by mid 1951, the Korean War had entered a stalemate as casualties, both military and civilian, mounted. The War was stabilized along the 38th parallel that today is the Demilitarized Zone (DMZ) separating the two Koreas. It is the most heavily armed and defended border in the world today. The United States has kept its commitment to defending South Korea from any end to the cease-fire or from any attack by North Korea. While there has not been active fighting between the two Koreas since 1953, the fact there is no negotiated peace makes the stability of the region a larger issue for US national security than other nations that enjoy a US security arrangement. Prior to Sec of Defense Donald Rumsfeld's review and redeployment plans of US forces around the globe, the US had 37,000 soldiers committed to defending South Korea from within the country. The Department of Defense will draw down this total by 12,000 military personnel by the end of 2008 to end up at 25,000 soldiers*, a reduction of nearly a third. Along with the draw down, the US is transitioning greater responsibility for the defense of South Korea to South Korea's military and consolidating the remaining US forces between 2007 and 2008 in two bases further south. The reduction of US forces is likely motivated by some military and some political reasons. Militarily, given the US technological supremacy on the battlefield, moving soldiers out of the way of an initial invasion by artillery and rockets is beneficial for a strong American and South Korean counterattack. US weapons can increasingly fight at longer distances, reducing the need to be forward deployed. From a political standpoint, American troops near Seoul were becoming more of a political liability as well as being expensive to base. By moving the forces south, it allows an opportunity for US soldiers' families to potentially move to South Korea as well for the minimum year tour in the country, a net plus for a volunteer army seeking higher retention rates. South Korean attitudes towards the Americans' presence does not have the same support among the younger generation as it does the elderly that remember the Korean War. A Pew Global Research survey in 2003 demonstrated 71% of South Koreans aged 18-29 have an "unfavorable" view of the United States. Even more shockingly, a majority of South Koreans were disappointed that Saddam Hussein's forces did not put up a greater resistance to the initial US invasion. Given that over 53,000 Americans gave their lives in the Korean War and the US defends the country today, these are rather shocking results. The current Roh administration has pursued a "Sunshine Policy" with North Korea, often at odds with US foreign policy goals for containing North Korea's weapons development, nuclear development, and exporting of weapons for hard currency. South Korea is also pushing for operational control of military forces in their country (ie., control of US military forces under a unified South Korean commander instead of the current US unified command structure). This position is unrealistic but could lead to two separate commands or, at the very least, an increase in friction in the alliance. These differences between the Roh government and the Bush administration is putting a greater strain on the alliance. Polls have shown a growing distrust of US unilateral action in the world, even right after the September 11, 2001 attacks against the US (see Harris Poll, December 26, 2001). Given the continuing decline of the US reputation in South Korea, even when balanced against the constant antics and provocations of North Korea, the future of the relationship is a growing concern. How should the US military plan for defending South Korea? Should it continue to do so? What effect will a declining alliance with South Korea have on US-Sino relations and US-Japanese relations? The next parts of this series will seek to address these questions. Your comments and views are welcomed. 1) The Korean Liberator - a top quality blog on freedom and democracy on the Korean peninsula. * Thanks to Marvin Hutchens for catching a scribner's error. The original post stated the final force would be 12,000 instead of 25,000, drawn down by 12,000. Excellent post. I'm looking forward to continuation of the series. One note - if I understand correctly the reduction in forces - as planned - in South Korea is for a drop from 37000 to 25000 - a reduction of 12k. Not a reduction to 12k. Let me know when the next component is pubbed. I look forward to reading it. If the ROK doesn't want us there, then by all means let's leave, or reduce our numbers. Further, with the advent of DPRK long-range missiles and nuclear weapons(however they may be delivered), the situation is not the same as it was from 1953 to the mid 1990's. Then, we would face a ground attack from the North. Given this scenario, US ground troops made sense. But now that the threat has changed, it seems that the DPRK is best countered through a combination of naval and air force air power, and missile defense assets. Thanks for your comments. I have been busily finishing up my research on Part I "US strategic and military planning in the region". I hope to be ready to dive in with some analysis and commentary by Monday. If the United States is not wanted, I think we should leave and I believe Sec Rumsfeld said something to that effect. I look forward to your comments after the next section. I'll throw in 3 facts but for disclaimer I will add that I am not a korean expert, i dont speak the language, I have never been there. This is just a recollection of things i have learned over time through koreans in US/India/Europe. of a marriage between a south korean woman and a soldier. often these women who were strugling in an unhappy marriage but continued because south korea was economicaly weak(remember asian currency crisis was as much due to korean won mismanagement as the thai bath) untill the mid 90's. Often derogetory terms were used by koreans to describe them! Even though they sacrificed personal happiness over family?. The US role in opening up korea was brutal. Korea wasnt interested in prefrential trade, but it was opened up by US in pre wwI era. I know most americans get their history from tom hanks for wwII and the fictions of henry kissinger for vietnam(where a fiction promoter like oliver stone probably does a better job). 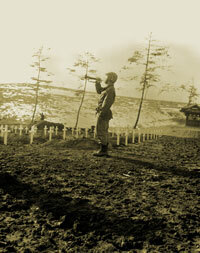 A more educated korean generation knows about and does realize the loss of soveriegnty. It is one of the most fundamental of human desires to be free of 'foreign' influences. Some koreans think that they can do a better job negotiating with north koreans then others. I do wonder what such dynamics do in case of national politics? Are such emigrants looked as traitors or those with a rational critique? Again I dont know much and would appriciate if koreans englighten me? That`s why American people are negative about this. Interesting case you have mentioned about the past Wars. Good article. That`s why American people are negative about this.